Bill Robles has the mellifluous baritone of a broadcaster, but he’s made a living for over 40 years with his eyes — and his hands. A graduate of the Art Center College of Design, back before it was located in Pasadena, Robles found himself sitting in a courtroom for the trial of Charles Manson in 1970, on assignment for a local TV station. 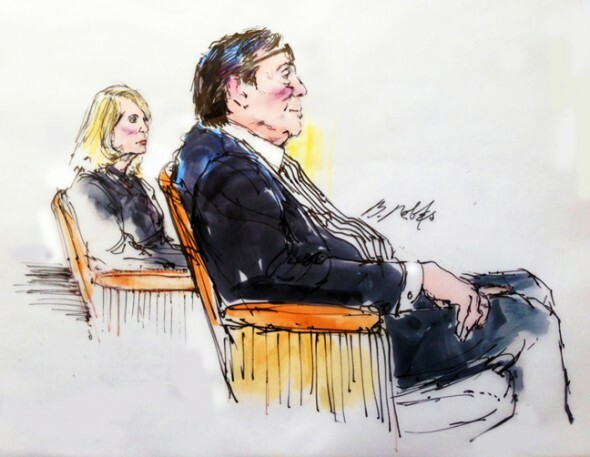 He’s been covering, and drawing, blockbuster court cases ever since. 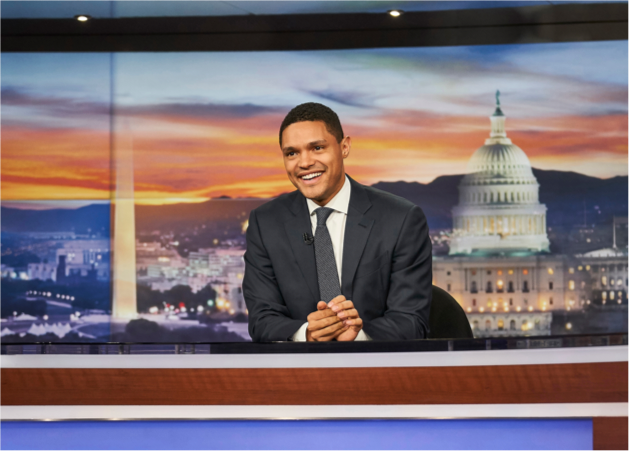 Some lawyers collect his work, although there are a lot of “cheap” high-profile ones, he said. Robles fleshes out his income by doing portraiture and, in the earlier days of his career, editorial illustration. 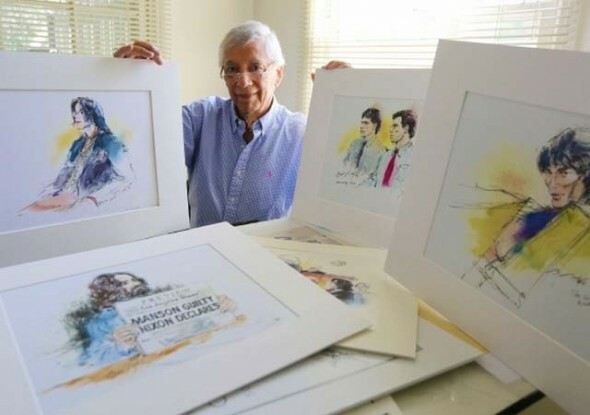 At the Newport Beach Public Library right now through March 5th, you can witness history for yourself in a display of the work of Robles and several of his courtroom artist colleagues. It’s in conjunction with a book called “The Illustrated Courtroom: 50 Years of Courtroom Art.” You can meet the artists at a special talk on March 3rd—or you can wait until the next high-profile trial and see it on TV. 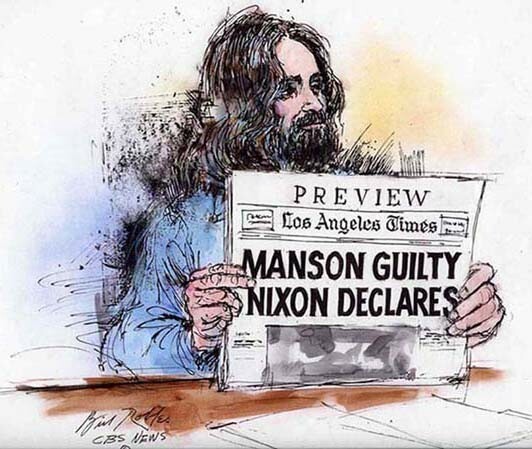 The 9-month long trial of Charles Manson in 1970 launched Robles’ career as a courtroom artist. Robles says while covering the 5-month trial of Michael Jackson nearly a decade ago was grueling, the performer’s varying wardrobe kept it interesting.